users can access basic banking services solely through their Aadhaar number. Aadhaar has tweeted "With only your Aadhaar number, you get doorstep access to banking services. 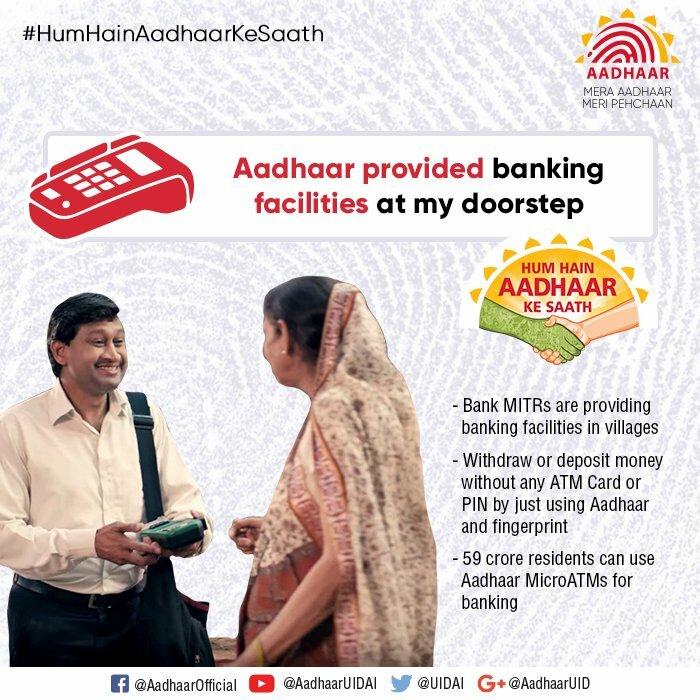 Over 4 Lakh Aadhaar Micro ATMs (locate one near you from: https://www.pmjdy.gov.in/gis/ ) providing card-less Pin-less banking across India. For bringing banking services closer, #HumHainAadhaarKeSaath"